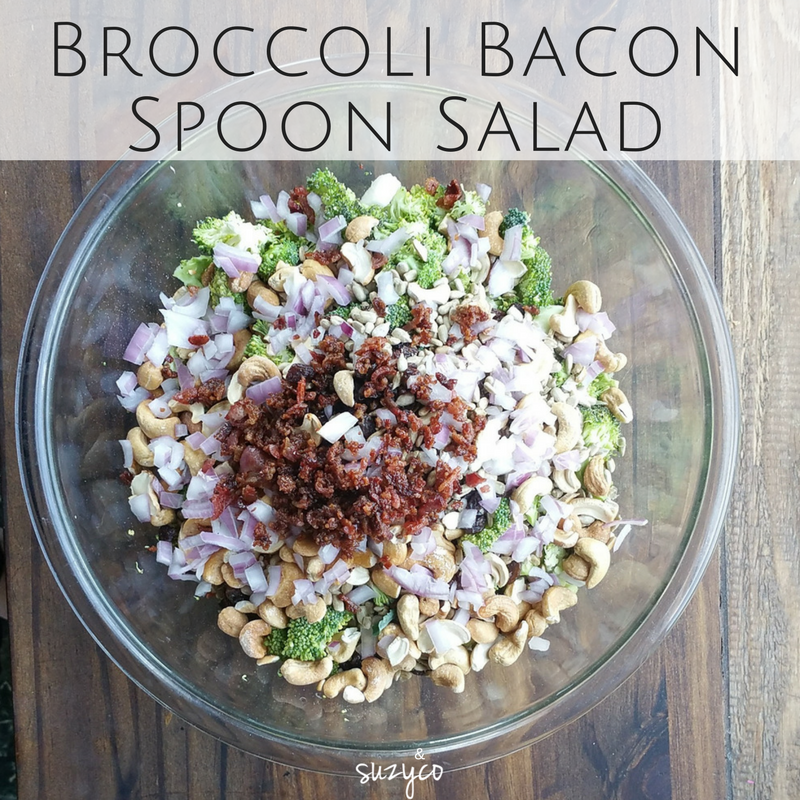 This simple recipe for broccoli bacon salad can be eaten with a spoon instead of a fork. This salad is nutritious, lasts for days so you can make a big batch, and tastes amazing. I am calling it a spoon salad because you really can eat it with a spoon. I wish all salads were this way and I thought I would coin that term. Of course a quick google search shows I am not that unique or ahead of the game None the less I plan on making most salad spoon salads and spreading the trend. Salads are always better when you get a little bit of all the flavors in every bite. I don't love it when I am eating a salad and one bite I will get maybe the lettuce and tomato, and then the next maybe avocado, onion, and lettuce. I want all flavors and bits in all bites. So I have started making "spoon salads" where all the ingredient are chopped so small that you could really eat the salad with a spoon and get each flavor in each bite. Mix all the ingredients together. Add just enough dressing to coat the salad without drowning it. I can usually get 2 salads out of this one dressing. Get your spoon and enjoy! For more recipes, nutrition tips and inspiration for your well-being, subscribe today!